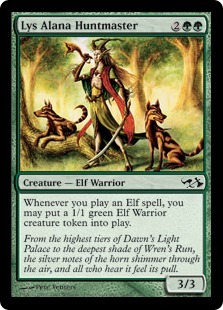 Im a series of posts im going to explain several combo`s I use in MtG. 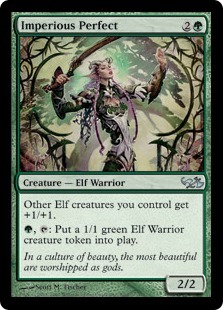 Imperious Perfect allows you to create a new Elf Warrior creature each turn, while Bramblewood Paragon provides trample and +1/+1. When this spell resolves the Obsidian Battle-Axe can be attached to the new creature which gives it +2/+1 and haste. 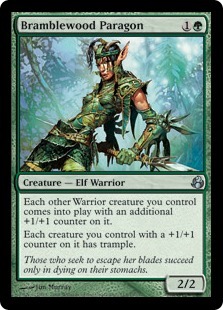 This leads to a 4/3 creature with trample and haste.